How to wrap bento box and any box. 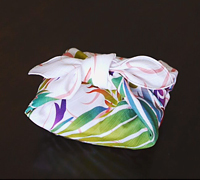 It’s basic wrap with Furoshiki in Japan that used for celebrations and a variety of other purposes. Beautiful Japanese Bento (Lunch box)! 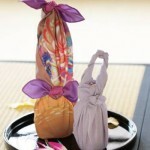 Wine bottle wrapping by Furoshiki for party!